The ISG100-125 vertical pipeline centrifugal pump adopts the performance parameters of the ISW centrifugal pump and is designed in an ingenious combination on the basis of the general vertical pump. 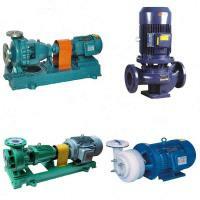 At the same time, according to the use temperature, medium and other different on the ISG pipeline centrifugal pump type, the application of hot water, high temperature, corrosive chemical pumps, oil pumps. 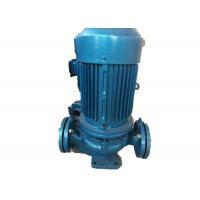 ISG vertical pipeline pump has the advantages of high efficiency, low noise and reliable performance. 1. 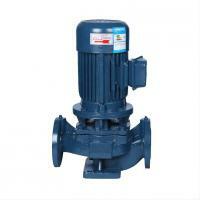 The pump is of vertical structure, the inlet and outlet are the same diameter, and they are located on the same center line. They can be installed in the pipeline like a valve. The shape is compact and beautiful, the floor space is small, and the construction investment is low. Can be used outdoors. 2. 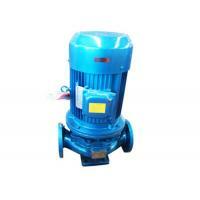 The impeller is directly mounted on the extension shaft of the motor. The axial dimension is short and the structure is compact. 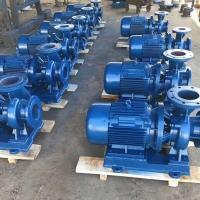 The pump and motor bearings are arranged reasonably, which can effectively balance the radial and axial loads generated by the pump operation, thus ensuring stable operation of the pump. The vibration noise is very low. 3. The shaft seal adopts mechanical seal or mechanical seal combination. It adopts imported titanium alloy seal ring, medium-sized high temperature resistant mechanical seal and hard alloy material, wear-resistant seal, which can effectively increase the service life of mechanical seal. 4, installation and maintenance is convenient, no need to dismantle the pipeline system, as long as the pump joint nut is removed to extract all the rotor components. 5. 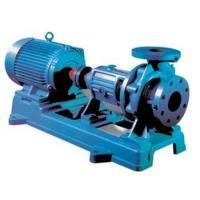 The series and parallel operation modes can be adopted according to the requirements of use, ie flow and head. 6. 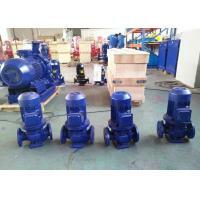 The vertical and horizontal installation of the pump can be used according to the requirements of the pipeline arrangement. 1. ISG vertical pipeline centrifugal pump for conveying clean water and other liquids with chemical properties similar to clean water, suitable for industrial and urban water supply and drainage, high-rise building pressurized water supply, garden sprinkler irrigation, fire boosting, long-distance transportation , HVAC refrigeration cycle, bathroom cooling and heating water circulation pressurization and equipment matching, the use temperature T <80 °C. 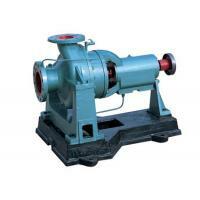 2, IRG (GRG) vertical hot water (high temperature) circulation pump is widely used in: energy, metallurgy, chemical, textile, paper, and hotels and restaurants such as high temperature hot water pressurized circulation transmission and urban heating system circulation pump, The IRG type uses a temperature T < 120 ° C, and the GRG type uses a temperature T < 240 ° C.
3. IHG vertical pipeline chemical pump for transporting liquids without solid particles, corrosive and viscosity similar to water, used in petroleum, chemical, metallurgy, electric power, paper, food, pharmaceutical and synthetic fiber sectors, temperature It is -20 ° C ~ 120 ° C.
4. 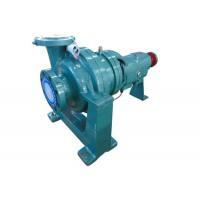 YG vertical pipeline oil pump is used to transport petroleum products such as gasoline, kerosene and diesel. The temperature of the medium to be transported is -20 °C ~ 120 °C. 1. Suction pressure ≤1.0MPa, or pump system maximum working pressure ≤1.6MPa, ie pump suction pressure + pump head ≤1.6MPa, pump static pressure test pressure is 2.5MPa, please indicate system working pressure when ordering. When the working pressure of the pump system is greater than 1.6MPa, it should be separately filed at the time of ordering. 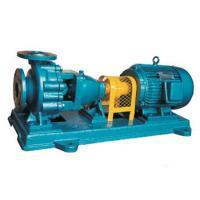 In order to manufacture, the overcurrent portion and the connecting portion of the pump are made of cast steel. 2. Ambient temperature <40 ° C, relative humidity <95%. 3. The volume of solid particles in the medium to be transported does not exceed 0.1% of the unit volume, and the particle size is >0.2 mm. Note: If the medium is used with fine particles, please specify when ordering, so that the manufacturer can wear a wear-resistant mechanical seal.